Portland's Development Commission announced its rebranding to Prosper Portland this week. But the bigger story is the relaunching of its dedicated website for the athletic clothing and outdoors industry. You don't get more niche then that! But the question for Government to Business organizations is... will that approach work for us? Join me as I dig deep and show why sometimes good content strategy alone is not enough without a powerful domain strategy. Or feel free to skip ahead to the 5 key lessons of content and domain strategy for Government to Business sites. First up Portland deserves an enthusiastic pat on the back. At a macro-economic level timber, fishing and agriculture have been on a decades long decline. The state government made a concerted effort to diversify. It plugged into its fitness culture and workforce skills, fostering growth in the athletic sportswear and outdoors industry. Nike, Adidas and many other athletic and outdoors businesses are based in Portland. The Portland Government wants to see the sector grow even stronger. Their redeveloped website has a lot of great things going for it. The Portland Athletic and Outdoor site doesn't feel very government. With its engaging visual design it could be a travel site. But its layout coupled with its customer focused approach to content makes it very engaging and dare I say alluring to a athletic or outdoor company CEO looking at relocating their business. Portland has some hits and misses on this front. 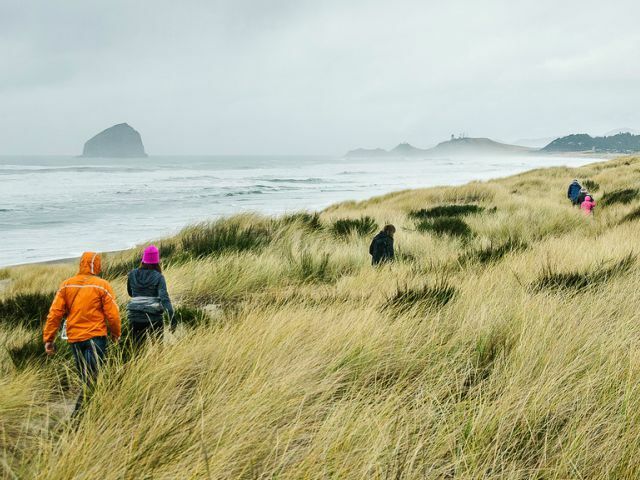 Community and stories - This section of the site highlights various activities and advances being made by athletic and outdoor companies in Portland. It screams to the business owner that this is the place successful entrepreneurs come to make their althletic or outdoors business grow. Events - access to Prosper Portland run and privately organised events relating to the industry is a great idea. It really does foster a partnership between government and private enterprise creating a real sense of community and common purpose. The other standout in the content department is the way its written. Prosper Portland seem to have a solid editorial team as pages are well written and laid out perfectly for scanning. But their content quantity could be given a boost as feature articles are sparse. 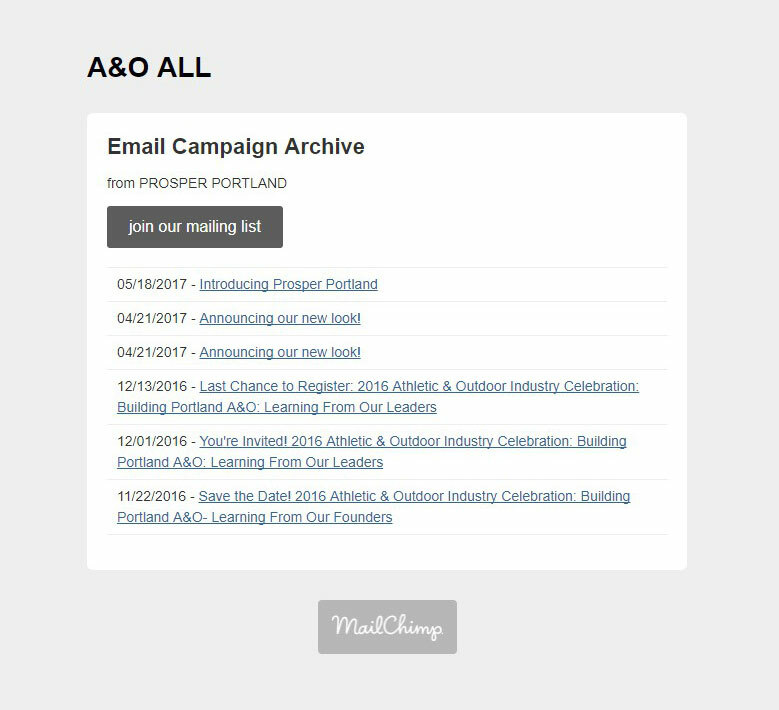 In many ways the content strategy adopted by Prosper Portland for its athletics and outdoor industry offering is solid. But in other aspects of content strategy it under performs. And in domain strategy it totally fails, ultimately impacting on the overall success of the Government to Business offering. Whenever you're redeveloping a Government to Business website it's not only essential to put yourselves in the shoes of the customer. You also need to engage with them and ensure you deliver what they need. The raison d'etre for the site must be attracting new businesses to the state. In which case I'm baffled that the "Why Portland" section of the site is buried. It's not as bad as the Resources and Company Directory section that can only be found in the footer. But there is no prominent placement on the homepage. Instead its in the navigation area found under the "burger" menu. Not exactly intuitive. When you get to the page, unfortunately the first half is full of outdated government statistics about the industry in Portland. And when I mean out of date, I mean five years out of date. Info totally unusable for a CEO thinking about relocating their business. After much scrolling that same CEO reaches information about the appealing livable city angle of Portland. This is good as many business owners involved in this industry actually take the time to indulge in their passions that got them into the business. But more scrolling is needed to reach Industry support. What is offered while in some ways good eg peer-to-peer sessions and a link to the local entrepreneurs network. But it is lacking in everything else. There is no discussion, let alone links to financial incentives, tax breaks etc to encourage a business to relocate. This would be the ideal place to include the links found in the Resources section, but it is glaringly missing. The "Why Portland" page also doesn't mention the skilled workforce that would encourage a growing business to move. In fact the heading "Talent" goes to the Community and stories page. And while that's a great page, it has nothing to do with talent. Why not instead link to the Jobs on the board page? Speaking of which, I was surprised to see a government run site acting as a jobs marketplace for Oregon businesses to attract talent. From a customer-centric perspective this is problematic. Is the site for business owners or workers? It seems to be business focused, so why muddy the waters? And if it is for businesses, how do the posted jobs get cross-promoted to where job-seekers go online? While its great to have a regular newsletter with all the latest information, the online version looks unprofessional running under a basic MailChimp domain name. When going to archived newsletters it becomes just utilitarian ugly! This could be so easily fixed. With all the great front end design, did Prosper Portland just run out of budget? I mentioned earlier the importance of putting yourself in the customers shoes. Imagine again for a moment that you're a successful athletic apparel or outdoors CEO, or even business development manager. Growth has been good and you plan on taking it up a level but you're not happy with the taxes and excessive reporting and regulations where your business is currently based. You've heard some of your local peers have made the move interstate. Its been on the back of your mind but you decide to at least put your toe in the water. What would be the first thing you'd do? The overwhelming majority of business customers would do exactly the same as you: they'd go to Google. So using Google.com I tried searches for outdoor business relocation and also for incentives relocation athletic apparel business. Both not unrealistic search terms. And where in the search engine rankings did Portland Athletic and Outdoor sit? Not in the Google paid ads. And not in the the organic search results. After scrolling through five pages of results, still nothing. Now Prosper Portland's marketing strategy may be totally focused on other means of connecting and raising awareness. Perhaps its plugging into its existing network of CEO's and getting them to promote Portland through word of mouth. Maybe its through glossy magazines and outbound marketing aimed at prospective relocating businesses. Maybe its something else. But the key thing here is you can't ignore the internet. It's the primary awareness raising channel and Prosper Portland is missing a golden opportunity. I say this as instead of their website being found, other competing states offerings are being found. Utah and Colorado feature prominently. Wisconsin doesn't make the organic results, but their clever Google ad strategy ensures they are found. It isn't because Google's Californian engineers have something against the folks 10 hours drive up the I-5. It has everything to do with the domain strategy being followed by Prosper Portland. While Google's Page Rank system no longer publishes the results publicly for how they view pages and domains, there are other proxies that help simulate this. Elements including the number and diversification of respected inbound external and internal links are substantially different between Portland Athletic and Outdoor and Utah and Colorado. But one of the surprising aspects of Prosper Portland's domain strategy is the idea of niching down on domains. The same elements of trust and credibility in Google's eyes that Utah and Colorado rank highly for, are stronger for Prosper Portland's domain over A&O Portland. For example there are 390 respected external links to prosperportland.us with only 66 going to aoportland.com. What is of greatest concern is the rebranding exercise changing the Portland Development Commission to Prosper Portland and its impact on domain strategy. The former domain name of pdc.us had 18,349 respected external links coming to it. Comparing a number of variables commonly known in Google's algorithm the former Portland Development Commission website was toe-to-toe up there with Colorado and Utah. When it comes to domain name strategy: consolidate. Don't niche down. If you have a domain name with great brand equity in Google's eyes: keep it. Only an exhaustive 301 permanent redirect plan may save you if you change. If you keep your respected domain name, that doesn't prevent you changing the look and feel, logo and the like. You could even have a new marketable domain name that aligns with your new brand that when set up correctly will redirect. Or get 301 redirections right. If its essential to create a separate stand alone industry brand, at least run it as a subdomain of your existing strong domain eg aoportand.pdc.us would have achieved this. Know exactly who your target audience and build great content for them. Talk to your customers and deliver exactly what they need.